Take the “5 Minute 5 Element” Health Quiz to determine your constitution according to Chinese Medicine. 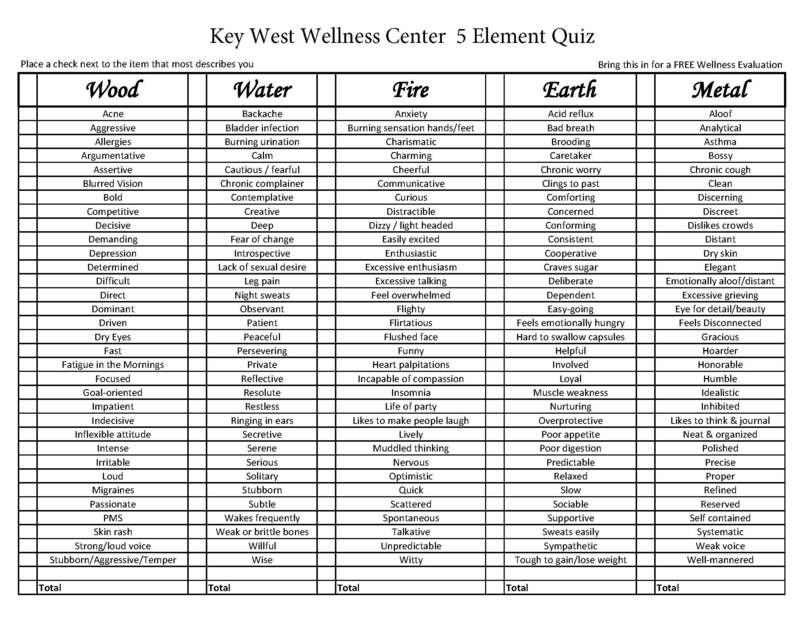 The Five Elements are Fire, Earth, Metal, Water, and Wood. 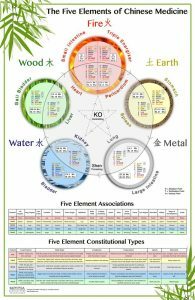 Five Elements Theory is a part of Chinese Medicine that categorizes all the information of the body into Elements. It categorizes organ systems, tissues of the body, emotional states, senses, sounds and even represents a season of the year. This is one modality that can be used to diagnose your constitutional type. Have some fun and fill in the chart, marking the word that best applies to you. Total the columns to determine your 5 Element type. Bring this in for a FREE Wellness Evaluation.